We have one garden plot that will be just tomatoes. It is a shame that Megan is allergic to them and cannot enjoy all the different flavors from all the different varieties. That doesn’t stop her from planting new varieties. I’m not sure how many colors are planted this year but I don’t pick tomatoes – ripe doesn’t necessarily mean red with Megan’s plants. 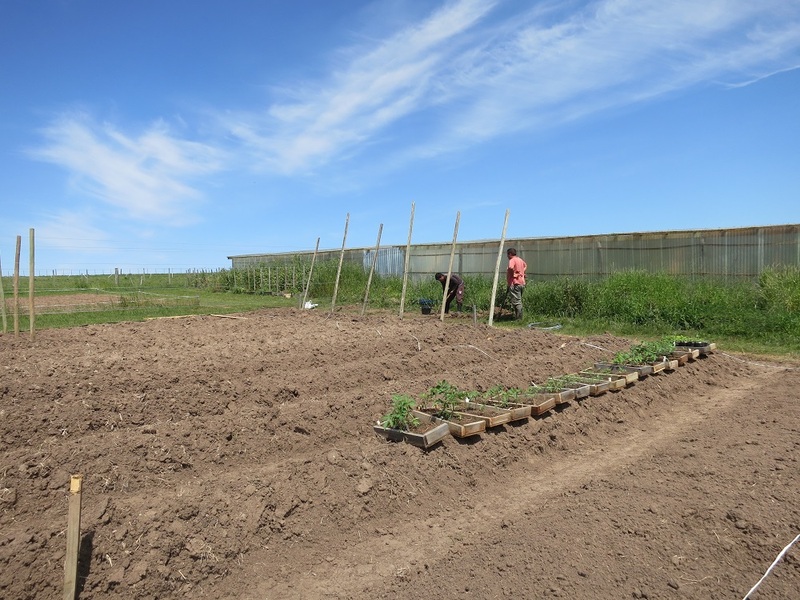 Preparing the tomato bed – and hardening off seedlings. The bed was rototilled and mounded just like the rest of the beds. Unlike the rest of the garden beds it will have permanent trellis supports installed. Tomatoes are one of the few vegetables that like to be planted in the same place year after year. As long as the soil gets a good dose of compost in between growing seasons. 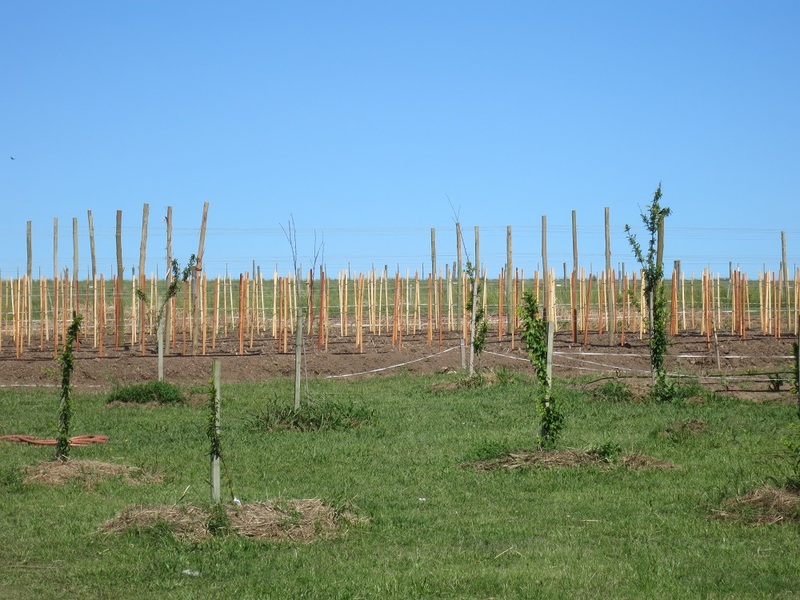 Due to the wind the trellis supports are fairly well interred – end posts with buried dead heads, three posts in the row, three rows of taunt wire, four foot stakes well-hammered and tied to the cross wires – in a hope of helping the tomatoes flourish despite our constant wind. 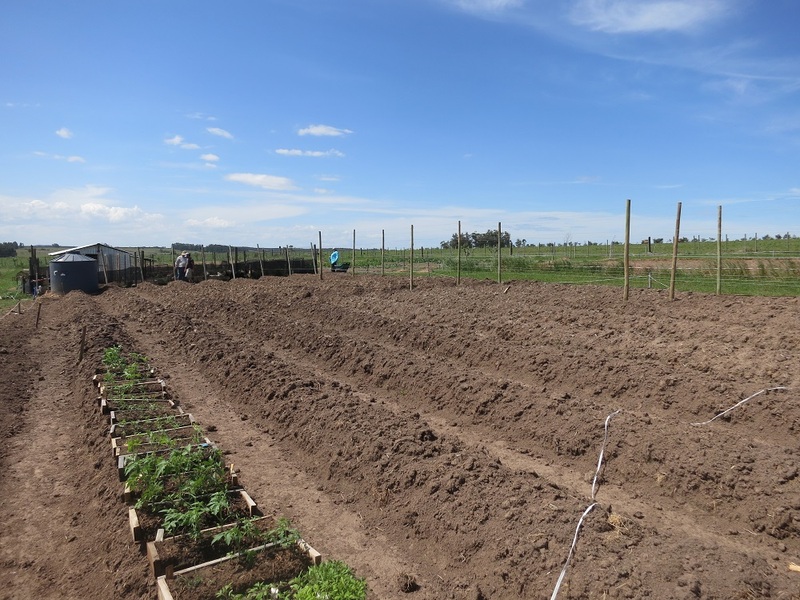 With the new irrigation tape (YAY) there is one stake every 60 cm – or two feet – creating spacing for about 450 tomato plants. 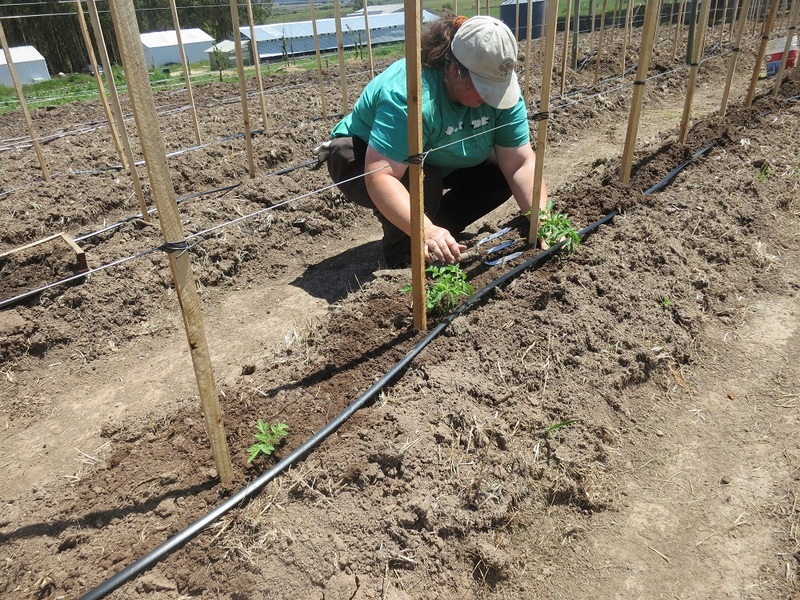 Megan has about 400 tomato seedlings to plant, about fourteen different kinds this year. She currently has about 150 planted. It’s late to plant. But our last frost was in late October – so better planted late than dead from a cold snap. With the crazy weather the seedlings are such a variety of sizes that produce is going to be varied. 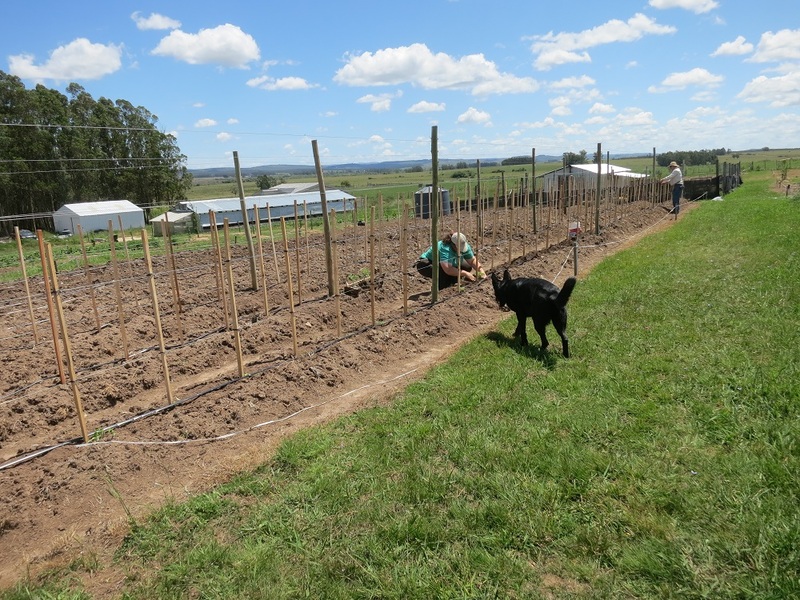 With the dry weather – and drying wind – the only reason we have any chance of a summer tomato harvest is the drip irrigation that allows us to deep water the roots even when the wind blows and dries out the top soil. Hopefully this summer crop will do better than last year. The yellow ones are Jon’s favorite. The orange ones are really sweet and taste best sliced.